Ogunquit is just what its name means – a beautiful place by the sea. From over three miles of sandy white beach to quaint fishing dories to the magnificent Marginal Way, the charming village is unique and our hotel is in the heart it. Enjoy the bustle of Ogunquit Center, the countless variety of unique shops and fine dining restaurants, and the renowned art galleries and world-class theatre. Such a spectacular place as Ogunquit on the coast of Southern Maine would be difficult to find. Just a stroll from our hotel, we invite you to discover the restaurants, gift shops, galleries and miles of beach along the beautiful Maine coastline. Click on a link below to find out more about Ogunquit’s attractions, activities and events just steps away or check out our Things to Do. At the Meadowmere Resort, you are near all of Ogunquit’s Attractions. Golf, boating, lobstering, whale-watching, museums, cruises, kayaking, mountain biking, hiking, lighthouses and more are in the area and here for you to enjoy. 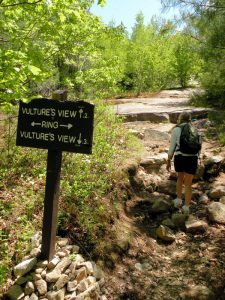 Find out things to do when in Ogunquit Maine and should you have questions about the attractions in and near Ogunquit, it is our hotel’s pleasure to help.
. . . Maine is known for its beautiful outdoors. What better way to experience the Maine outdoors then enjoying some of the green activities and attractions near our hotel in Ogunquit. Come experience a little bit of Maine nature. Home to Greater Works Land Trust, see remnants of a traditional salt water farm and enjoy the Robbie Littlefield Museum. From our Ogunquit hotel, approximately a 5 minute drive. Lions, Tigers & Bears – Oh, My! Kid-tivity! Nationally recognized land sanctuary with educational programs and festivals for all provided year round. Learn from their coastal research and enjoy their many festivals, including PunkinFiddle in September and the Native Plant Sale in May. From our Ogunquit hotel, approximately a 15-minute drive. Scenic views of the White Mountains to the Atlantic Ocean. Multi-skill level trails with drive access to the summit. From our Ogunquit hotel, approximately a 10-minute drive. From our Ogunquit hotel, approximately a 5-minute walk.
. . . Maine’s coastline is home to some of the best New England seafood and sailing. The romance of a day on the sea spotting a whale, catching a lobster or taking in the lighthouses is moments from our Ogunquit hotel. For the serious fisherman, spend a day trolling the seas of Southern Maine. Catch a pollock with Captain Tim! From our Ogunquit hotel, approximately a 5-minute drive. Enjoy the beauty of Maine’ s coast with cruises leaving right from Perkins Cove. Catch views of the Nubble Lighthouse, enjoy a breakfast cruise or take in the sunset on a cocktail cruise. Head to the ocean and see dolphins, whales and the Marine Life of the Gulf of Maine. Or take a tour of the Bush-Walker home and see where lobster is harvested. From our Ogunquit hotel, approximately a 20-minute drive. Plan a charter and enjoy a private deep sea fishing tour for tuna, shark and more during your Ogunquit vacation! Small intimate cruises aboard a beautiful sailboat – take in the stunning Maine coast from the sea. Sail along the rocky coast, watch lobstermen catch the daily haul and relax to the sounds of surf crashing. Spend a day aboard a Cape Dory and learn to sail or just enjoy the ride. From our, Ogunquit hotel, approximately a 5-minute drive.
. . . Discover your inner gourmet along the coast of Southern Maine. With lobster, seafood and classic New England tastes around every corner, have some fun learning a cooking tip or two for back home. Whether you are an experienced or novice cook, the Cooking School is a fun and friendly way to spend a few hours learning recipes and techniques from local chefs, noted authors and more. Located in York, south of Ogunquit.
. . . Fore! Golf in Maine is an adventure, with world-class courses and stunning Maine views. Our hotel is set among some of Maine’s best golf courses. Swing into a great golf vacation! Located on scenic Shore Road, hit the links and enjoy the ocean air at this semi-private course. Tee times open to the public midweek days and weekend afternoon. Friendly atmosphere and club grille. Located in Old Orchard Beach and highly rated by Zagat’s, the Dunegrass features Fairways Restaurant and a course designed by Dan Maples. Open to the public. Pro shop and lessons available. From our Ogunquit hotel, approximately a 30-minute drive. Rugged New England terrain offers a challenge set in the beauty of Maine. Designed by Brad Booth, the course was an immediate success in the golf world and today is a top Public course in New England. A bit of Scotland in Southern Maine. Just moments from Ogunquit, enjoy breathtaking views upon a Championship course. A favorite public course designed by Brian Silva that is just one hour from Boston and 15 minutes from the Meadowmere. Enjoy the friendly pro shop, book tee times online and check out the Red Barn at Outlook Farm. A working farm and Par 3 family owned course in Wells. Championship golf course designed by Tom Walker with greens set to USPGA standards. Open to the public and located in Scarborough. Open to the public and located in Wells. A private setting just off the Maine Turnpike and minutes from the Maine Mall. 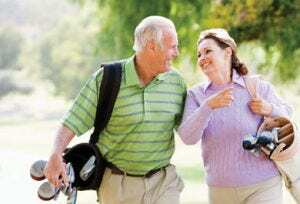 Highly complimented by TravelGolf Magazine and located in South Portland.
. . . Unwind with classic spa and massage treatments. Holistic healing from massage benefits more than just sore muscles. From cleansing facial to a deep tissue treatment, relax completely. Set in the heart of York Beach Short Sands. Full-service salon and day spa. Wedding services available. Seasonal. Award-winning fitness center with state of the art cardio machines, free weights, nautilus and more. Day passes and memberships available. Onsite at our Ogunquit hotel. Aesthetic and Laser Center for medical and spa treatments. Peels, Botox, Rejuvenation, Bare Minerals and more. Aveda. Hair services, bridal parties, just for men treatments and more. Walk-in welcome. Hair design, bridal parties, special events and more. From our Ogunquit hotel, approximately a 25-minute drive. Award-winning therapeutic massage treatments and more at this Day Spa. Featuring the LaStone Treatment and YonKa and Jane Iredale products, enjoy relaxation just steps from your room. Nail and facials services also available at offsite locations.
. . . Ogunquit is a favorite spot for family vacations. With so many kid-friendly attractions and activities near our hotel, it is easy to see why generations have come to the Southern Maine Coast. Adventure theme parks – a favorite among family tourist attractions! One of New England’s largest theme and water parks. Over 40 years of fun – check online for specials and more information. Journey into the unknown and experience authentic ghost stories, witch tales, and folklore. Enjoy candlelight tours of historic York – you never know who’ll join you! Be the Next Dancing Star Kid-activity! Rumba, tango or tap your way for a good time. Learn the steps to your favorite jig and salsa. Located in Downtown Portland just 45 minutes from the hotel. Parking nearby. Zipline and aerial course. Over 60 activities for high flying adventure. Team building, pre-course training, and group arrangements. High rope challenge course is 15 minutes south of the Meadowmere. Parking onsite. Cool water, fast slides, and sunshine. Enjoy the giant wave pool, racing rapid and pirates lagoon. Located in Portsmouth. Two 18-hole mini golf courses – Mountain Mania and Nautical Nightmare. Plus skeeball, air hockey, ticket prizes and video games – a kid’s delight! This family fun center is a miniature golf delight. Lions, Tigers & Bears – Oh, My! Kid-activity! Family fun for exotic animals and amusement rides. 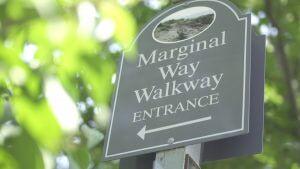 Maine’s largest zoo features amusement rides and Rewa, a white Bengal tiger. With butterfly gardens, carousel rides and treats like spun cotton candy, this is family favorite! A King’s farm dating back to the 1700’s, over 175 acres are preserved to provide a safe place for children to learn and play in nature. Take a trip and enjoy the sights of this historic farmhouse.
. . . Maine means adventure. From outdoor activities to high flying fun, Ogunquit is the starting place for some serious fun. Take a scenic tour in a restored 1933 open cockpit bi-plane. Enjoy breathtaking views of attractions like the Nubble Lighthouse and Ogunquit Beach. Fully licensed and over 35 years flight experience. Flights available May-October. Inline skating and roller skating fun. Take some laps around the rink, have some fun in the arcade and enjoy the music. Located in Portland with easy Turnpike access. Offering kayaking and bike adventures along the seacoast of Southern Maine. Kayak tours and lessons range from a few hours to full day excursions – including a lobster lunch adventure. Bike tours and camps offer both coastal and mountain routes. The largest surf shop in Maine and home to surf camps and lessons. With direct beach access and plenty of gear, you’ll hang ten while hanging out in Ogunquit. Vrroom Vrrrroooom Speed Racer Kid-activity! Indoor formula karting and mini golf facility. The thrill of racing for all ages and abilities – Indoor karting was where some of today’s NASCAR stars began. Test your driving skills and go for a ride! Winter sleigh rides, riding lessons and the beauty of a horse-drawn carriage. The Princess Carriage is a romantic touch to any wedding day and the public rides are great family fun. Saddle up and enjoy! Yoga is about balance. With the drop in classes and packages available, your trip to Ogunquit can help restore and energize. All levels welcome. Classes are held daily and are just minutes from the Meadowmere. Enjoy the fun of horseback riding in Maine! Take a private lesson or go as a group. Whether you are new to riding or returning to the sport, the fun and relaxed instruction is a perfect adventure! Maine’s oldest surf shop – with bike and kayak rentals too! Check out the shop’s surf, skate, kayak and snowboard teams and the latest gear for your favorite high energy sport.
. . . Home to some of Maine’s best art history, Ogunquit features fabulous theatre and world-class American Art. Take a walk and discover what York was like in 1600, 1700, 1800 and 1900’s. Learn about the early Indian settlements through the boom of hotels and travel. Group tours available for meetings, functions, and weddings. Interactive fun with animal exhibits, cooking school, rock climbing, kid’s shows and the tidepool tank. Located in the Arts District of Portland just 45 minutes from the hotel. Parking nearby. Outstanding exhibits, including the Winslow Homer room and a large Impressionism collection. Located in the Arts District of Portland just 45 minutes from the hotel. Parking nearby. 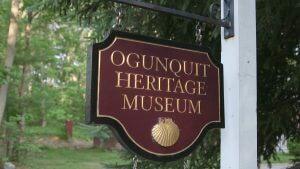 Exhibits, artifacts, and educational programs on the Ogunquit Village’s unique history and culture. 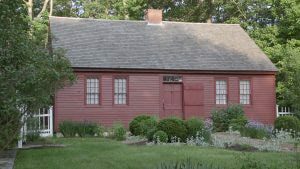 Set in the Captain James Winn historical house and located on Obeds Road, the Museum is open in the summer season and is just a 1/4 mile from the Meadowmere. My Little Picasso, Kid-activity Wednesdays! Art exhibits and educational programs on Ogunquit’s unique art history and more. Often called the most beautiful little Museum by the Sea, the Museum is open May til October and is just a 2 miles from the Meadowmere. A moving tribute to one of the greatest concerns of our time – and a call to help eliminate it. The goal of the Quilt is increased public awareness through creative means. Annually on display Memorial Day Weekend, Ogunquit is Maine’s only home to the AIDS Quilt panels. When visiting Ogunquit, the Memorial Library is a must see. On the National Register of Historic Places, the fieldstone structure is quaint and cozy – perfect for discovering the history of the art colonies, fishing and more of Ogunquit. Dedicated to the history of York with educational programs and tours. Explore nine buildings, nature preserve, art gallery, and gardens. 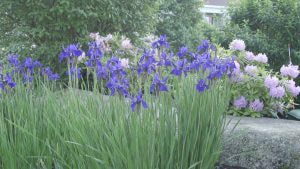 Enjoy the Annual Old York Decorator Show House or take part in one of the many educational programs. Learn how the street car and trolley transportation shaped the culture of the area. Visit the largest museum of mass transit and relive the transportation of generations past. Take a sunset trolley ride and explore! Shopping in Ogunquit when visiting our hotel is a treat. 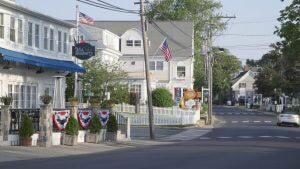 Stroll Ogunquit village streets and discover quaint New England stores and delightful shops. Full of unique gifts and fun browsing, Ogunquit shopkeepers provide a smile while you are here and a little shopping lets you take a little bit of Maine home to share after your vacation.
. . . Shopping while in Ogunquit is just steps away from our hotel. Minutes from Ogunquit village center and Perkins Cove, stroll along and find a treasure on your Maine vacation. Unique art, gifts and fine American crafts. Signature calendars and custom made rings. Look for this store on Main Street in the village center. Yankee Candles, jewelry, ship models, and Maine souvenirs. A great stop for collectibles – Look for the store along Shore Road. Unique gifts from Ireland – jewelry, ornaments, pottery, sweaters and more. Look for this gift shop along Shore Road on the way to Perkins Cove. From our Ogunquit hotel, approximately a 10-minute walk. Made on location, unique gifts in the Candlewick Shop. Year round, find fun candle scents and unique gifts. Look for this store on Route One just north of Ogunquit. Maine souvenirs, jewelry, toys and more. Find the perfect gift for Fido – there’s a great selection of dog items. Look for this gift shop north of Ogunquit on Route One. Stained glass, jewelry, wine accessories, home decor and more. Look for this gift shop in Perkins Cove. Homemade pottery, exotic wood items, wrought iron, copper, and bells. Home to Chris Davis pottery since 1984. Look for this pottery shop in Perkins Cove. Featuring Maine made collectibles and gifts. This gift shop is part of Maine Diner and offers cookbooks, clothing and more from the restaurant landmark. Look for this shop on Route One north of Ogunquit. Set in an 1899 Ogunquit home with spectacular gardens, be inspired in this gift shop! Find unique candles, Stonewall Kitchen gifts and more. Look for this gift shop on Beach Street in Ogunquit. Ogunquit’s premier jewelry shop – handcrafted designs, blown glass, and semiprecious stones. Find unique sea glass jewelry and more. Look for this jewelry shop in Perkins Cove.
. . . Everyone loves a Maine sweatshirt. Part of making great Maine vacation memories at our hotel. Featuring comfortable and colorful clothes plus unique gifts. A truly memorable store! Looking for the shop along Shore Road. Sports and non-sport cards, supplies, Beanie Babies, and much more for your collections! Casual resort clothes for men and women. Specializing in natural fibers and designer collections such as Tommy Bahama. Find great accessories – from handbags to jewelry. Look for this clothing store in Perkins Cove. Printed and embroidered shirts, hats, resort-wear. The largest T-Shirt shop in Ogunquit, look for this clothing shop on Shore Road. Unique clothing and gift gallery. Beach gear and gifts from land and sea. Wall art, Christopher Radko items, pottery and more. Look for this gift and clothing shop on Main Street in the village center. For your child and the child within you! Featuring local favorites and collectible brands, this toy store is a classic stop for the little one. Look for the awnings along Main Street. Delivers to our Ogunquit hotel with pre-arrival reservation. Rent instead of packing – beach chairs, boogie boards, skim boards, coolers, games, cabanas, umbrellas and more. Eco-friendly wooden children’s toys and baby rattles. Handmade in the toymaker’s shop for over 35 years. Located on Chestnut Road in Ogunquit. Best to call ahead or custom order.
. . . A bouquet of flowers always brings a smile. Add a special touch when visiting our Ogunquit hotel. Maine ‘s tiniest flower shop! Exquisite weddings flowers, famous birdhouses, and twig wreaths. Specializing in wedding arrangements and bouquets. Look for this flower shop along Route One, south of Ogunquit. Fabulous flower arrangements and one-of-a-kind designs. Unique gifts for home & garden. Look for this flower and gift shop along Shore Road between the village center and Perkins Cove. Unique pieces, specializing in weddings and graduations. Look for this flower shop in York on York Street.
. . . Ogunquit is home to some of Maine’s best sweets. Indulge a little and enjoy your Maine vacation. Handcrafted pastries and desserts. Specialty cakes for any occasion – including wedding cakes – and treats at any time. Coffee bar with outside seating features gourmet coffee and pastries. Look for the bakery along Main Street. Handcrafted sweets from storied recipes. Confections made in the shop. Year round, find delicious treats such as fudge, gourmet chocolate bars and a wall of jelly beans. Look for this candy store along Main Street in the village center. Quality handmade chocolates and a life-size chocolate Moose too! Tours come from all around to see Lenny the Moose. Located on Route One in Scarborough. Parking onsite. Retro candy and confectionary shop – ice cream too! Look for this candy shop in Perkins Cove in Ogunquit. Parking nearby. Fine wine, cheese, and gourmet food shop. Great selection of gifts and wine accessories for entertaining. Look for this wine and gift shop on Route One in Ogunquit. Homemade salt water taffy and old fashion fountain soda shop. Watch the taffy made live and mixed flavors by the bagful. Look for this candy shop in York Beach. Parking nearby. Morning baked goods, coffee, prepared entrees, gift baskets, and gourmet sandwiches. Find fun and unique wines and everything needed for the perfect picnic basket or beach spread. Look for this sandwich shop and bakery on Main Street in the village center. The shop for unusual and hard to find candies and nuts. From fun and nostalgic to just plain crazy, you will find every candy under the sun. Look for this candy shop on Route One in Kittery, south of Ogunquit. Parking onsite.
. . . A fresh look to return home with. The look of ‘I just had a wonderful Maine vacation’. Award-winning therapeutic massage. Center your body, relax your mind with classic Swedish Massage. Or truly let go with a LaStone Signature treatment. Services onsite at the Meadowmere or look for this spa in Ogunquit center and Route One in Wells. Day Spa at our Ogunquit hotel, appointments recommended in advance.
. . . For the power shopper, back to school trip or holiday shopping adventure in Maine. Reach Maine’s famous outlets minutes from our hotel. Great shopping in a beautiful coastal town. Designer shops, boutiques and of course LL Bean! Freeport is a perfect day trip from our village – the outlets are only 40 minutes from the resort. Ask for directions at our front desk. From our Ogunquit hotel, approximately a 45-minute drive. Store Visit the flagship store and explore the best of the outdoors. Take a seminar, buy gear or just browse this incredible shop. Find home decor, gifts, and outdoor geat to get out there. Look for this store among the Kittery Outlets just south of Ogunquit. Famous brands, outlet prices. Over one mile of shopping just 15 minutes from Ogunquit! Remember that November is for Shopping with a coupon passbook with every stay. Fabric books and patterns. Ready-made quilt, classes, and gifts. A treasure for anyone who quilts. Look for this store just south of Ogunquit on Route One. Surfboards, bodyboards, skateboards, swim and sunwear. Lessons and rentals. Yes – there’s surfing in Maine! And as Maine’s largest surf store, this surf shop is the place to find surf gear and lessons in Ogunquit. Look for this surf shop on Route One. A feast for eyes and palate! A passion for food has created some unique treats – including Wild Maine Blueberry Jam. Sample the jams, jellies, and sauces and browse great home and garden ideas. Look for the Stonewall Kitchen flagship store on Route One in York. Extensive wine and beer selection for every palate. Find handcrafted beers, local wines, and a cigar selection. Look for this beer and wine shop in the Hannaford’s Plaza on Route One north of Ogunquit. Enjoy Ogunquit’s nightlife and after hours when visiting the Meadowmere Resort. There’s more beyond the beach! After the sun sets along Marginal Way, enjoy the nightlife of our Village – sparkling with seaside activity. Dance the night away at a local club or enjoy a cozy corner for two at a causal spot, catch the sports game at the local bar or have a pint in a traditional New England pub. There are so many ways to enjoy Ogunquit after the sun goes down. Stroll our quaint streets and explore the nightlife to find just the spot for you.
. . . Kick back and unwind. Try some of Maine’s famous craft beer. Catch up and relax on your Maine vacation. A low key and comfortable spot to catch a game at the center of Ogunquit village. Parking lots nearby. Good food and great ale. A beer lover’s spot with regular entertainment. Located in the center of Kennebunkport. Parking onsite. A casual place with a beer selection, karaoke, and DJ dancing. Parking lots nearby. Traditional New England pub. A warm and welcoming place complete with quaint surroundings. Parking onsite. Cozy Maine pub with fieldstone fireplace right onsite at Meadowmere Resort. Live music on Saturdays. Lite fare. Daily lunch service Mid-June thru Labor Day; Weekends shoulder/offseason. Located at our Ogunquit hotel, lite fare, and beverages.
. . . From ocean view to village sidewalks, enjoy your Maine vacation and celebrate a special occasion or find a nightcap in style. Upscale and cozy. Best cosmos and fruitini’s in town. Located on Shore Road. Parking onsite. Cozy and warm spot upstairs. An intimate place for a romantic evening or sitting outside with friends. Parking onsite. With martini selection, wine choices and gourmet bar menu, MC’s upstairs bar matches upscale casual dining with spectacular ocean views.
. . . See your favorite musician or discover someone new. Sing along to show tunes or just tap your feet when on your Maine vacation. Fun and inviting, known for its piano bar sing-alongs and adult comedy upstairs. A casual bar downstairs. Parking lots nearby. The Ogunquit spot for live music and concerts. Featuring names like Paula Poundstone, Pete Best, Bob Marley and more. Upstairs is a landmark in the village. Parking onsite. Onsite at our Ogunquit hotel, directly next door. Quaint New England pub located within the Meadowmere. Regular entertainment on weekends, lite fare in season. Parking lots nearby. Onsite at our Ogunquit hotel, directly across from the lobby.
. . . Hear the music and dance the night away. Ogunquit after sundown is a special place to enjoy your Maine vacation. An Ogunquit hot spot for dancing and video bar. 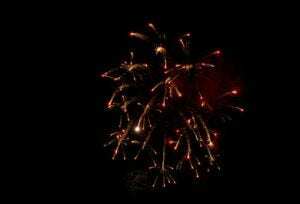 Regular entertainment and special events. Parking onsite. Antiquing in Southern Maine is a treasure hunt and enjoying the arts of Ogunquit is to discover a jewel. From antique shows to art galleries to the many shops and theatres, Southern Maine is an adventure – you never know what you will find! Arts & Antiquing in our seaside town has long cast a spell upon the artists of the world. From the Post-impressionism of Charles Woodbury’s school to the hidden treasures of countless antique shops, our little seacoast village has often been noted as the origin of the Modernism art movement in Maine. Rich in history – including such famous faces as Judy Garland and Bette Davis – Ogunquit’s Art & Antiquing is here to share with you today and just steps from our hotel.
. . . Ogunquit has a long art history and the tradition continues. Enjoy Maine’s art scene just minutes from our hotel. Works from various artists- both local and world-renowned – are showcased at the Barn Gallery. Chamber music events and showcases. Walk to the Barn Gallery – just steps away on Bourne Lane in Ogunquit. Art set on the dramatic ocean coast. Permanent collection and special events make this the ‘Most Beautiful Little Museum in the World’. Enjoy breathtaking ocean views when you visit this Museum on Shore Road. American art glass, jewelry, Judaica, and raku. Exquisite pieces and finds on Route One just south of Ogunquit.
. . . What’s old is new. Antiquing in Maine is an art and nowhere is better to begin than at our hotel in Ogunquit. Over 10,000 feet of English, American, and Continental furniture, garden items, and decorative accessories. Just north in Kennebunkport. The Beth Ellis Cove Gallery features Beth’s plein air oil paintings of New England with special emphasis on Ogunquit and the inspiring scenes of Coastal Maine. The gallery showcases her most recent work throughout the season. Quality dealers offering extensive collections of antiques and collectibles. April-October. A large barn with a large inventory. Oen by appointment. Period antiques through vintage modern. Furniture, objects, design. Also contemporary art & photography. Elegant period 18th-19th century formal and country furniture from England and France. No reproductions. Known for a large inventory of unusual Chinese Export porcelain and Japanese Imari, fine boxes, silverplate, brass, and copper. Period and country furniture, paintings, fine glass, and China. Quality antiques of every nature and over 30 years of experience. 60-dealer antique center offering a wide range of period antiques. Celebrating over 40 years. A great find on Route One in Wells. Route One shop features weather vanes, folk art, paintings and more. The perfect stop for American Folk Art. 11 showrooms of fine period antiques, 18th and 19th century, formal and country. If you appreciate fine period antiques, you will be in for a treat. Known nationwide for traditional antiques from the Federal, Sheraton, Hepplewhite, Chippendale, and Queen Anne periods. Single items to entire estates located on Route 1 with plentiful parking. Over 80 dealers. Toys, furniture, glass, china, paper, coins, jewelry and more. Multiple dealer shops offering 18th and 19th-century furniture and accessories. A favorite destination for dealers, collectors, and decorators since 1989, with 8000 sq. ft., four floors of quality merchandise in room settings offered by over 80 outstanding long-time exhibitors.
. . . Broadway at the Ogunquit Beach. Feel like a star on your Maine vacation with outstanding live theatre. Workshops and summer shows right in downtown Ogunquit. Summer Theater from June-August in a historic barn setting. First run movies right in downtown Ogunquit – moments from food and shops! Broadway/Summer Stock in the historical playhouse. Spectacular shows, top performers.
. . . Ogunquit is home to amazing culture along the Southern Maine coast. From the fishing to the arts, explore it all from our hotel’s central location. A Non-Profit group committed to bringing all art types to Southern Maine – including the Annual Chamber Music Festival and St. Patrick’s Day Irish Dance. From our Ogunquit hotel, approximately a 5-minute walk to most events. Explore and discover the unique history of Ogunquit at Captain James Winn House on Dorothea Grant Common. The history of Ogunquit Maine is wonderful. The name is of Abenaki Indian origin and aptly means ‘beautiful place by the sea’ – a reflection of the gorgeous stretch of beach and stunning Oceanside cliffs. Fearless fishermen kept their dories in the outer part of what is now Perkins Cove, next to those cliffs and exposed to the whims of the Atlantic Ocean. Taking to the sea has been a part of Ogunquit’s history and life for survival and pleasure since the settlement’s beginnings. Trading vessels left the pier loaded with firewood and lumber, returning with sugar, molasses, rum, and salt. Now, thousands of visitors walk the fine sandy beach, stroll the Marginal Way, and take to the ocean in search of spotting a pod of whales. The town’s landscape is peppered with traditional New England homes and elegant structures – such as the Ogunquit Memorial Library given to the town in 1897. Many unique buildings that are part of Ogunquit’s history now house fine restaurants and quaint shops. 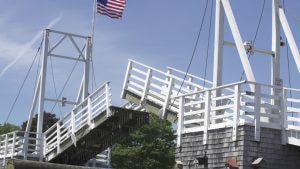 The shanties along Perkins Cove were originally home to Maine Lobstermen but have since grown into a thriving tourist attraction – with spraying waves, a romantic footbridge, and Molly the Trolley driving by. And as one walks along Marginal Way – a gift from Josiah Chase to the village – and watches the ocean’s beauty, one is captured by the scent of the sea and the beauty of Ogunquit. Or perhaps it is the sound of laughter coming from the three-mile-plus stretch of beach, where families for generations have played in tidal pools and couples have meandered hand in hand in the tide. Proud of our history – from ocean to architecture to arts – Ogunquit village dedicates many resources to preserving its culture and beauty. 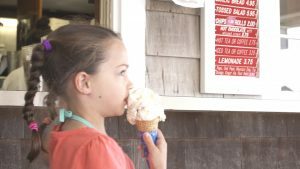 It makes Ogunquit Village a great family vacation spot -Check out the Top Things to Do with Kids. Such a commitment has attracted famous faces, from artist Charles Woodbury in the early 1900’s to writers F.Scott Fitzgerald and Ernest Hemingway to today’s stars of television and film. 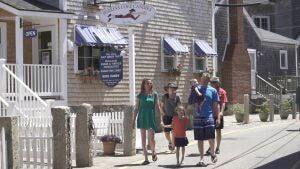 All have come -and continue to enjoy – the quaint Oceanside village of Ogunquit. We hope you enjoy your visit and the memories made by the sea. For additional information on the history of Ogunquit Maine and Ogunquit village, please visit the Captain James Winn House, home of the Ogunquit Heritage Museum, at 86 Obeds Lane or call 1-207-646-0296. There is always a reason to plan a trip to Ogunquit and to our hotel. Enjoy festival events and getaway packages year round. After all, there’s more to do in Ogunquit besides walking on the beach or along Marginal Way and browsing the shops in the village. Your trip can explore the cuisine and restaurants, museums and theatre and more. You may even find yourself on an adventure – enjoying the many water sports like swimming, surfing, kayaking and wind sailing. Check out our Things to Do in Ogunquit Guide. From live music to fun festivals to romantic dining, join us year round at our Ogunquit hotel. Valentine’s Day Getaway Weekends – With Live Music! Maine Maple Weekend – A Sweet Treat! Once you find your Ogunquit Maine event, make your reservations to come and enjoy! Located in the heart of the village, the Meadowmere Resort is just a 15-minute walk or less from it all. From Perkins Cove to Ogunquit Beach to Marginal Way, at our hotel, you are just a stroll from the restaurants, shops and more. 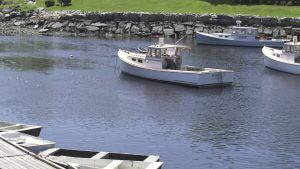 Let us help you plan how to get to Ogunquit and how to get around our village. Arrive via plane, train or automobile and settle into cozy comfort seconds from all Ogunquit has to offer. Once in Ogunquit at our hotel, we encourage you to walk to enjoy the sites – everything from the beach to the playhouse, downtown to Perkins Cove is within walking distance. To explore more of the Seacoast and Mt. Agamenticis, ride the trolley and enjoy! Ogunquit Trolley Service lets you take a charming – and convenient – trolley around the town! Trolley Service runs continuously throughout the day in season, making regular loops to the beaches, Perkins Cove and beyond and stops just steps from our hotel out our back parking lot. When planning you vacation, remember that trolley service does not maintain timed stops in the event of unforeseen traffic. The trolley makes every effort to keep waits to just a few minutes and remains the easist and most picturesque way to tour town. Hop on board at the Meadowmere Resort’s back parking lot, next to Jonathan’s Restaurant and begin to explore Ogunquit!